Analytical balances are professional-grade balances that are used in laboratories of all shapes and sizes for measuring chemicals, medicines, powders and organic samples in sub-milligram increments. Adam Equipment's analytical balances provide readabilities up to 0.1mg and can perform tasks such as formulation, density determination, purity analysis and conformance testing. Our balances are constructed using top-quality, chemical-resistant materials for handling hazardous chemicals; while a compact design allows them to occupy minimal space on crowded lab workbenches. Solidly-crafted draft shields protect balance weighing chambers in order to minimise outside disturbance, ensuring consistent and precise results. Analytical balances are recommend for use in food testing facilities, medical institutions, university science labs and chemists for measuring pharmaceuticals. 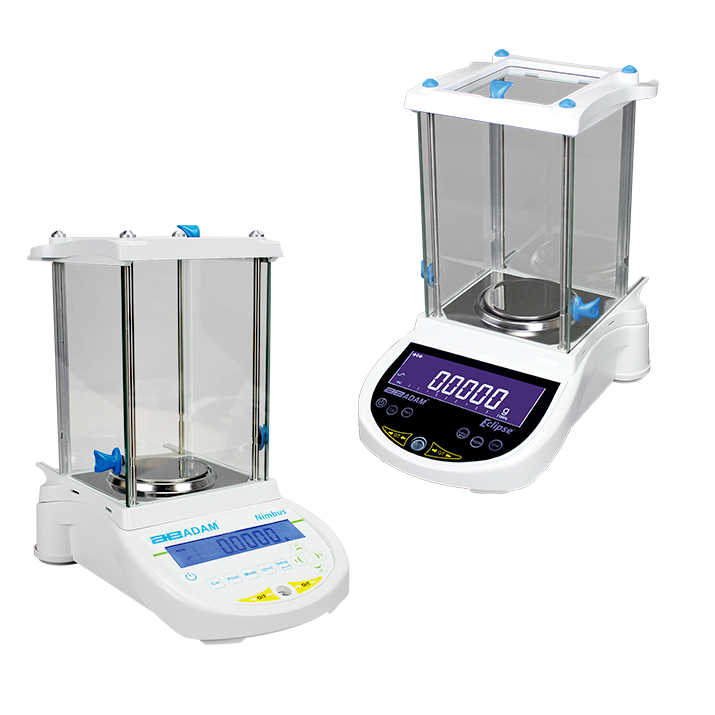 Adam's Nimbus series of analytical balances offer a range of models that deliver readabilities of 0.1mg and a glass-enclosed weighing chamber. Ideal for advanced scientific weighing experiments in laboratories.